During winter, I become a bear. I eat loads and load of comfort foods in order to store fat for hibernation. Okay sure, I don’t hibernate in the traditional sense, but it’s the time of year where I feel it is socially acceptable to stay holed up in my apartment, and act like a recluse with a box of cookies. During summer though, there’s something about the heat and liveliness of the city that makes eating large meals sit uncomfortably in my stomach. I absolutely love salads. But I can be picky about them as well. 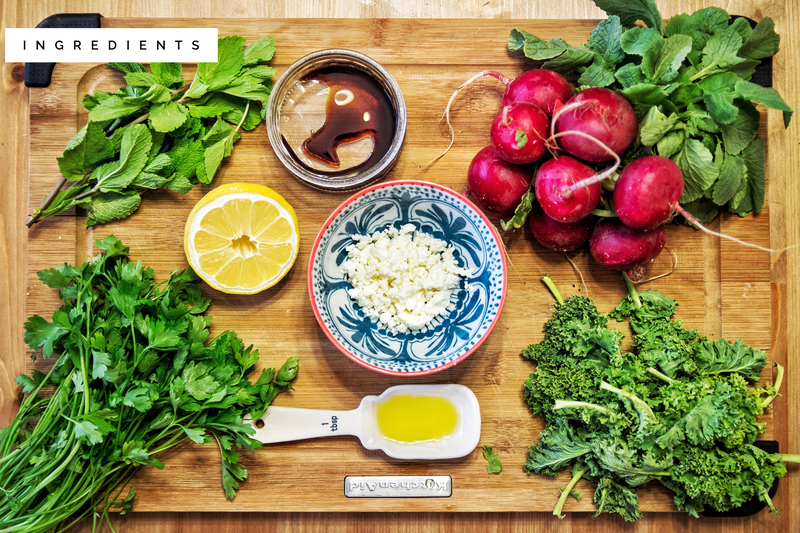 As a result, I tend to lean towards the same ingredients in a salad, which tend to get boring. 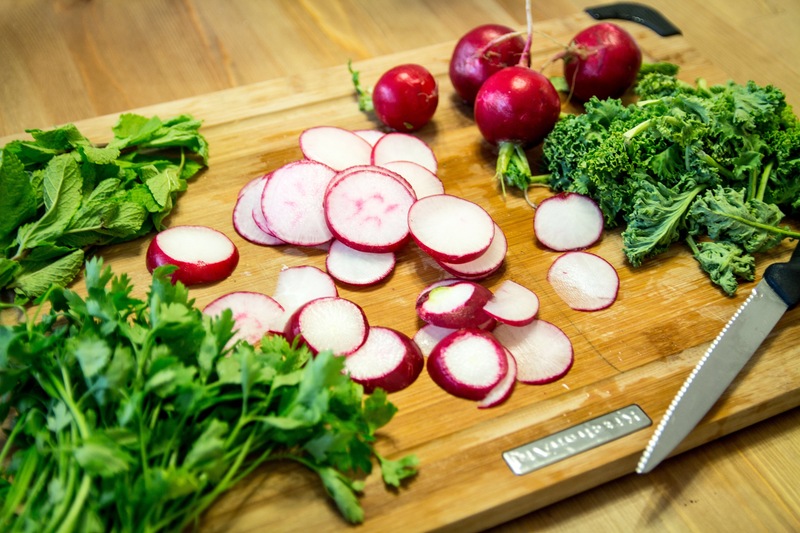 Stepping out of your comfort zone and introducing a new ingredient – like radishes – can completely revolutionize your idea of salads. They can be fun! Since I am a complete scatterbrain, I forgot to include a key component to this salad (though it was scrumptious without it). 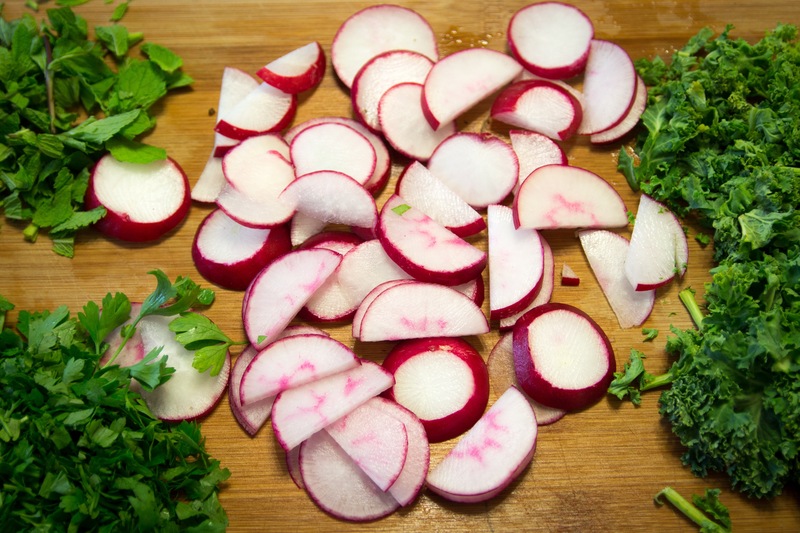 Slicing up a half cucumber into half moons is a perfect compliment to the radishes. 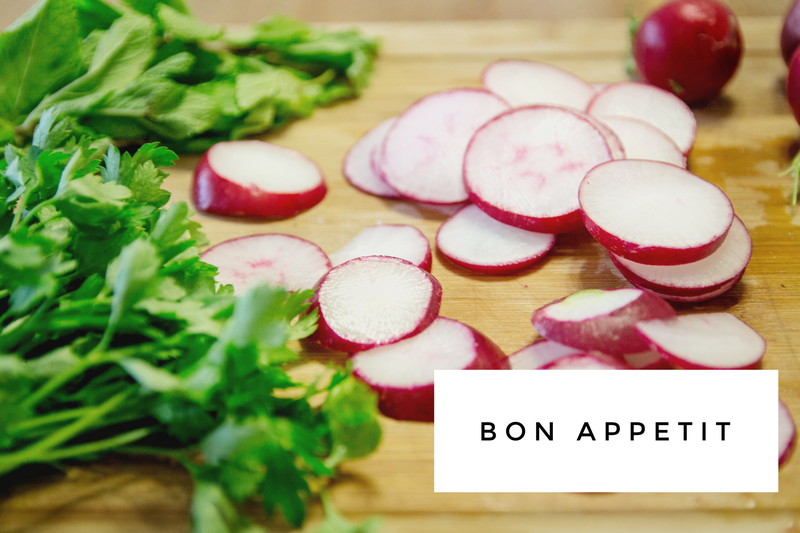 It counters the subtle flavour of the radish with a refreshing burst. Another good tip for salads in general is to introduce an herb. I don’t really like lettuce as a filler. I find it boring and that it detracts from the ‘good stuff.’ I find that adding other interesting greens like herbs (mint especially) and parsley can add to the ‘filler’ but also provide different textures and flavours simultaneously. 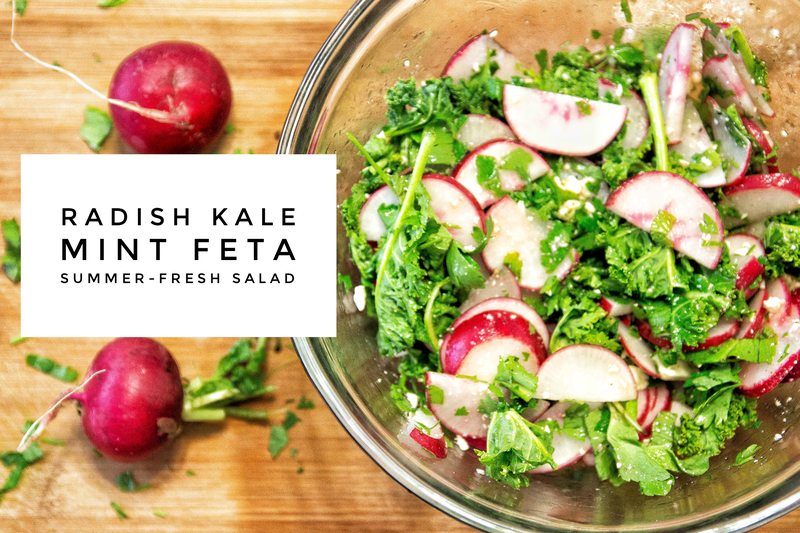 Combine ingredients, except for feta, in a large bowl. Whisk together vinaigrette ingredients and pour on top of salad. Toss salad until well coated in vinaigrette. Add crumbled feta on top of salad. Enjoy!